In many ways, Coryell and fellow guitarist John McLaughlin have had parallel careers, helping to found the Jazz Rock and Fusion genres in the late '60s and early '70s, before moving on to straight-ahead jazz and World Fusion collaborations. Coryell has proven his versatility on distorted electric, hollowbody, acoustic, and even twelve-string guitar, playing with fiery technique and a raw, cutting tone. Perhaps it was the musicians with whom he worked that helped drive his experimental improvisations. 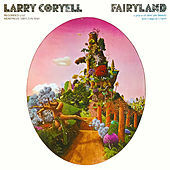 McLaughlin, Miroslav Vitous, John Scofield, Bernard Purdie, Billy Cobham, Chick Corea and Jack DeJohnette all brought intense rhythmic and/or harmonic ideas to the table, but Coryell's pioneering ideas surely symbiotically influenced them as well. 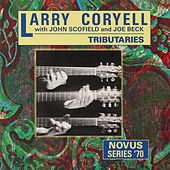 The albums Spaces and Larry Coryell's 11th House are seminal Fusion albums on which Coryell experiments with new sounds and ways of breaking down jazz's boundaries.